Please don’t take highlights that serious. Highlights aren’t accurate enough to tell where the bullet exactly hits the enemy. This is indeed a bug and the team is working on it. It’s not a major issue so it should be fixed soon. You do what every other game with snipers does and modify the hit boxes so 1 hit kills are in the upper chest and head only. Limb and Center of mass shots should be a 2 shot kill. It's pretty simple. And thats exactly what it is right now already. There’s is even a graphic on how hitboxes got modified in an older patch. I’m pretty sure it’s the amount you get after drawing a duplicate. However, this is not related to this thread in any way. Thanks. I've drawn an orange duplicate before but I didn't write down the chip amount to confirm that this is true. As for relevance; neither is the original comment you replied to, nor your reply to that comment. Obviously I was talking about this whole topic. But it seems like I’d need make a whole letter out of “not related to this thread” in 500 words so even a special part of the community can understand it. Anyway, please only PTS related comments here. Why is it worth 500 chips? How is that value calculated/justified? Pretty good choice. It´s a really good movie, way better than "your name" in my opinion. Your Name was amazing though. Saw it on Netflix and instantly had to buy the actual book (not manga). I’ll send you a private message! Alright, I’ll send you a private message! Hello there, I will send you a private message! Thanks for reaching out to us. Can you please try to change your battery/power settings to Maximum Performance and tell me if it gets better afterwards? It was a pleasure for the_Director to look through all of your amazing entries and he chose a winner for this event! Gladly I’d like to announce you our grand winner! Your rewards will get sent out as soon as possible. Thanks to all participants for participating! We have our winners for the Caption your Screenshot event! It was very close but here they are! Congratulations to our winners, your rewards will get send out as soon as possible! Hope to see you next time again! Hello there! I’ll send you a private message regarding your issue! Can you guys try again? It should be fixed now. This Event is over now. Thanks for participating. We will announce the winners as soon as they are chosen. I can only tell you what I know regarding the legal base. There are indeed ways to circumvent some of the articles but every company handles it differently. Ironsight can only do as much as Gamigo (the mother company) wants/allows and sets in their ToS. There is not much that we as the Ironsight Team can change about that except live moderation, for which there are not enough resources as of now. Aeria Games doesn’t save messages sent via chat since this is not allowed due to the general data protection regulation. Wew. Surely one could store chat messages in a way that's GDPR compliant? Are you sure that Aeria Games doesn't just want to make the effort of implementing the necessary mechanisms to be GDPR compliant? The only thing that would be possible is to save messages as just the text without any meta information. There would be no information about the user who wrote it. Just the plain message. And that doesn’t really help in situations like this. Thanks for reaching out. First of all, without proper proof no one will get banned. He can send as many “fake reports” as he wants, as long as there is nothing that really convinces the team that there is indeed something wrong, not much will happen. But same goes for you, if you want to report him for bad behavior please make sure to include screenshots showing. Aeria Games doesn’t save messages sent via chat since this is not allowed due to the general data protection regulation. Therefore any help from the community is highly appreciated when it comes to these things. You can report people via ticket here - https://support.gamigo.com/ - but please never report people in public. Therefore I removed the name in your text. Any chance we can lease a server in Oceana? There are still no plans on OCE Servers. But ping based matchmaking is indeed planned after the new netcode gets pushed out to the live servers. Ironsight is not on steam yet and will only hit Steam as soon as all the major issues are solved. We have our winners for the Carnival Event! And here they are! Congratulations to all winners! Thank you to everyone who participated. The rewards have been sent out! We hope to see you next time again! Easter season is right around the corner and now it's time to get ready for it! It is usually associated with a game where decorated eggs or Easter eggs are hidden for children to find. And we will celebrate it too with our own Egg Hunt Event! 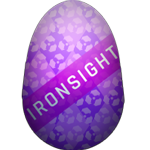 We have sent out a few Easter Bunnies which post Easter eggs on Discord, Social Media and the Forum. And your part is to find them, take a screenshot and submit it in the submission form! So keep an eye on our channels and find as many eggs as possible! Fun Fact: Every year Easter is being celebrated somewhere between March 22nd and April 25th. The date is decided by a complex set of calculations based on observations of the moon. 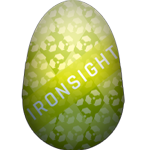 Head over to Discord, Social Media and the Forum and take screenshots of all the eggs you found! Submit the screenshots all at once via this Form! This event will run until April 28. You must post your entry in this form. Users who puplicly post the eggs they found on our platforms will get disqualified without exceptions. Don't send the same eggs multiple times. I told you already. It will get announced in the respective threads as soon as the winners are chosen. This event is now over! We’ll gather all entries and choose our winners! We will inform you as soon as we have our top 3. Spring is almost here and it’s time for the second edition of the Caption your Screenshot event! This time it’s all about spring! Make a great screenshot with your Clan, your team or even alone and add a funny text fitting to the screenshot and the occasion! Set your humor free and make this spring a funny one! Gather some of your friends or you and yourself, take a great screenshot and put a text on your picture! Upload it to a image platform like imgur and post it in the comment section below. This Event will run until the 30th of March. The top 3 entries will be decided by the CM Team and Moderation team. There are some known issues with AMD Ryzen CPUs. The developers are already aware of it but sadly there is no ETA for a fix since the team is currently prioritizing the new netcode. As I said, please talk English here. Hello there, please talk English on the forum. Otherwise we won’t be able to help you. Thanks for participating everyone! It was a long process to review all this but we finally have our lucky winner! I will contact the winner and the participation rewards will get sent out as soon as possible! Thanks for participating and we hope to see you next time again! You’re not banned, make sure you typed your password correctly and delete everything out of your launcher and retype your account information. We have your lucky winners for the Valentines Day event! Thanks for participating! Congratulations again and your rewards have been sent out to you guys! Hope to see you on the next event again!